To allow your reader to preview the cover of your digital magazine issue and issue title, you should always remember to add publication names and cover photos to your folio before publishing. Without them, your reader will see a blank thumbnail with no publication titles within your app or content viewer. Below are some really simple instructions that will help guide you through the process of adding publication titles and cover thumbnails to your folio. *GDPW students: After entering your publication name, please add your first and last name to the title. ie: “Magazine Name – First, Last Name”. Without any folio details, your reader will see a blank thumbnail once they open up your custom app or content viewer application. The first thing you should do is export .jpgs from your InDesign cover document by going to the File menu > Export > and choose JPEG from the “Format” menu. 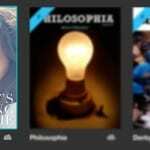 Save your cover image for both portrait and landcape orientations, then place them in your cover article’s links folder. Blank thumbnails within the content viewer app. 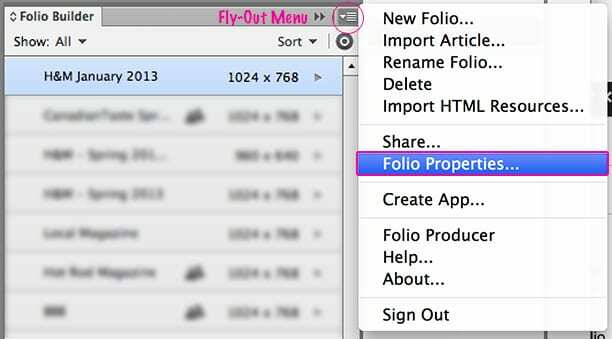 Now that you have your thumbnails saved, select your folio from the Folio Builder panel and click on the fly-out menu. From there, select Folio Properties. 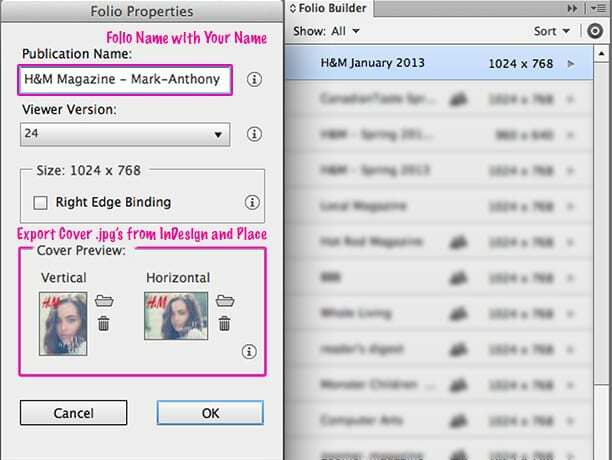 Folio Builder: Folio Properties menu. In the Folio Properties window, enter the name of your publication and issue date or number – whichever applies to your requirements. Next, add your portrait and landscape cover thumbnails by selecting the folder icon and navigating to your thumbnail images that you saved in step 1. Click OK and your folio properties will be updated. 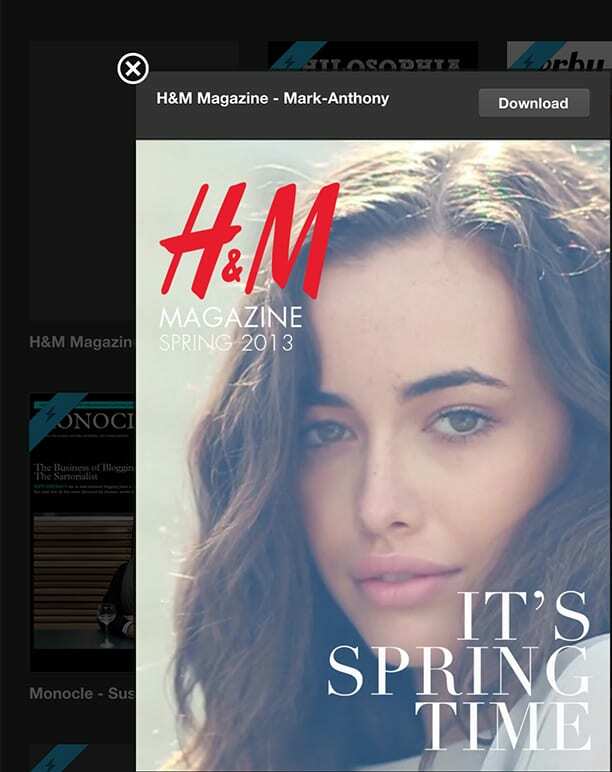 Once your properties have been updated, your reader will now be able to view a thumbnail image of your magazine’s issue cover and title.